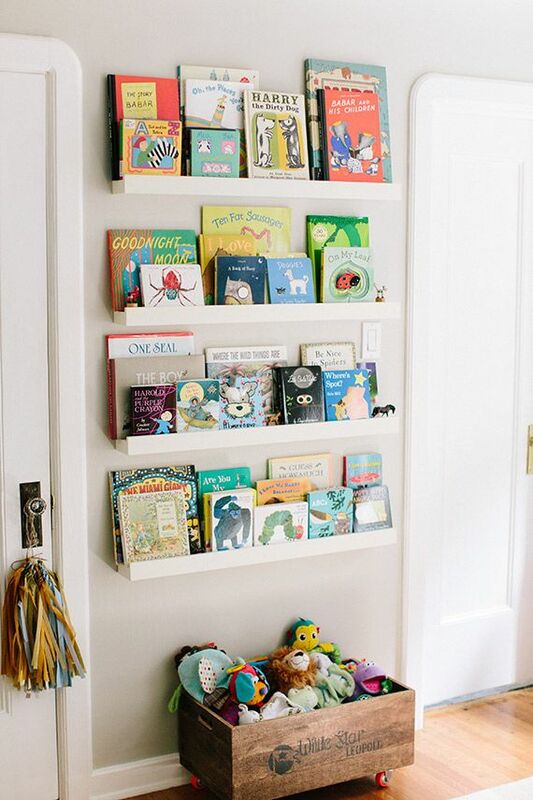 Right now you’re probably what’s so special about a nursery bookshelf anyway. 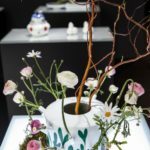 Although at its core it’s still just a simple, regular shelf, there are a few small details and characteristics which may or may not interfere with that. 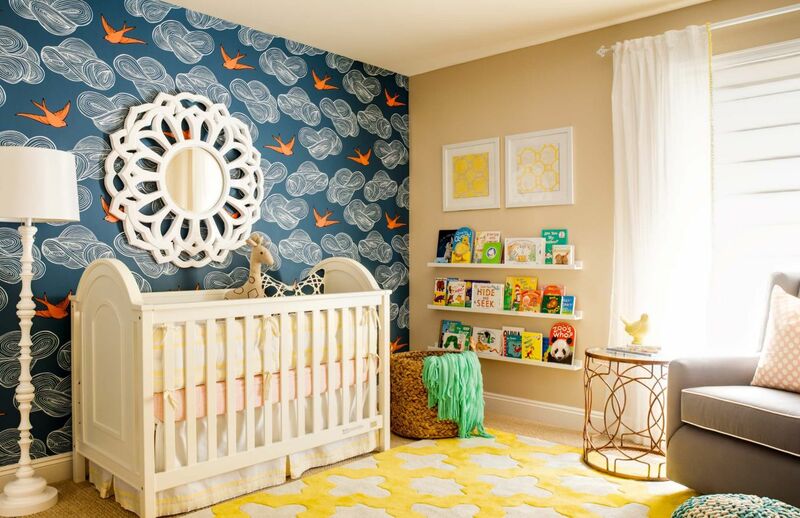 For example, a nursery bookshelf tends to be smaller than other types of shelves or to have a design more similar to a sort of tray rather than a shelf so it can prevent items from falling off. There are a few more details that you might find interesting so check out these cool images for more inspiration. 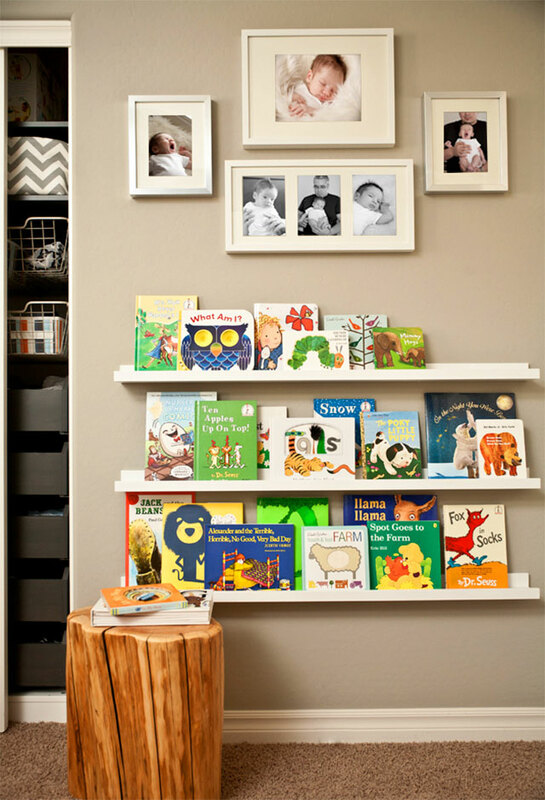 There’s not a lot you can display on a nursery shelf and usually these things hold baby books or framed photos. A shelf doesn’t have to be very wide to hold this type of items so it can be pretty small in size. 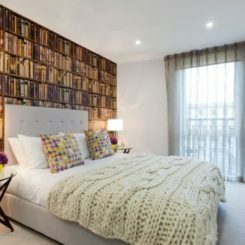 It would, however, be nice to have an edge so the books and picture frames can stand up straight and not fall off. 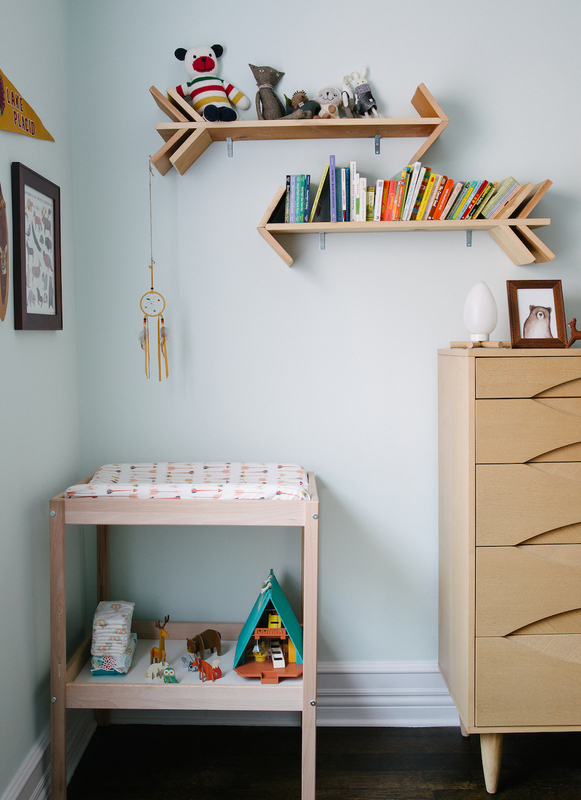 We find these shelves from projectnursery to be perfect in that sense. Let’s assume for now that you’ve already decided how big you want the shelves to be and how they should look like in terms of design. You should focus on where you want to install them. In order to do that, think of how and when you’ll be using them. 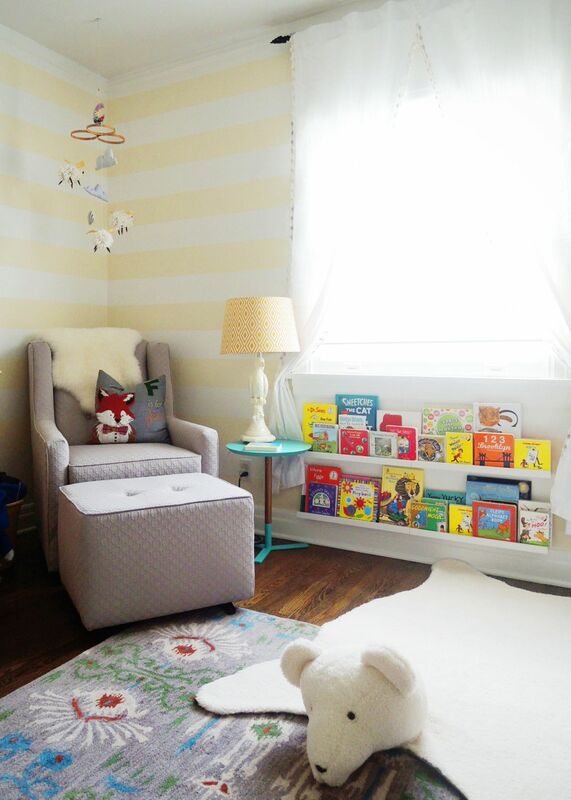 This nursery featured on Apartmenttherapy has this cozy reading corner with a comfy armchair, an ottoman, a side table, a table lamp and two bookshelves placed at the perfect height. Corners are really great for placing shelves in as well. 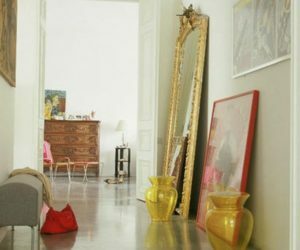 Room corners usually remain furniture-free which basically makes them dead spaces but not unless you can find a way to put them to good use. 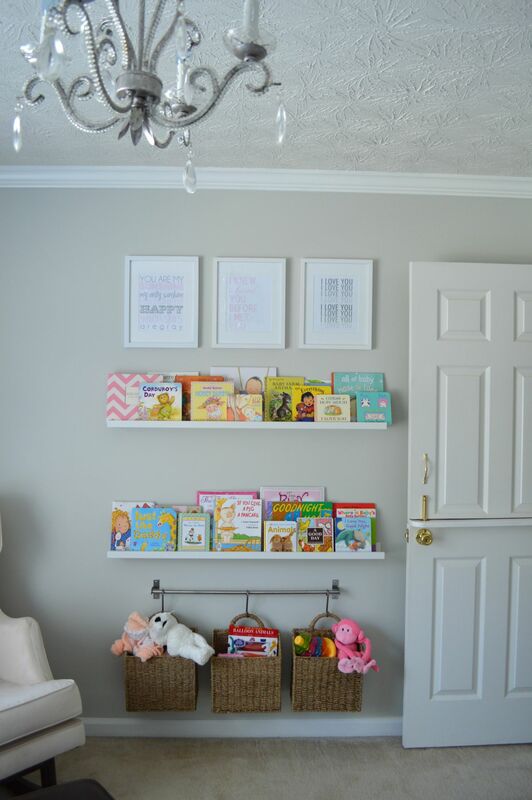 For example, you could install two or three small shelves there for things like children’s books and small toys. 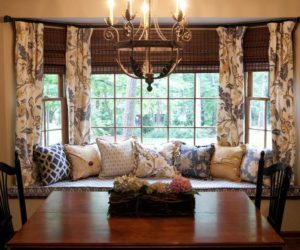 You could let yourself be inspired by this design that we found on pinterest. 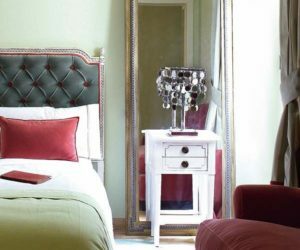 What we love about shelves is that they can pretty much be installed anywhere. For example, these nursery bookshelves sit between the door and the window, on a wall that couldn’t really hold anything else. 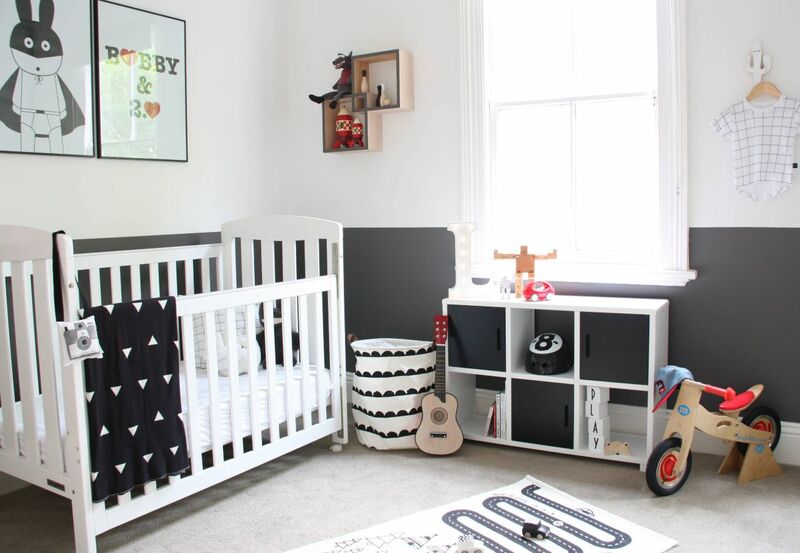 We also love that toy box that’s sitting under the shelves. Find more cool ideas like this one on 100layercakelet. 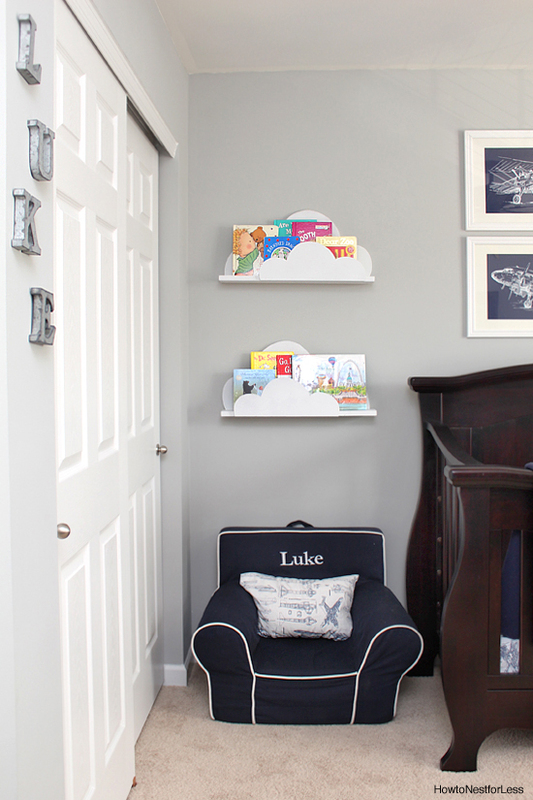 Generally, we think that a nursery bookshelf shouldn’t be installed too high on a wall. 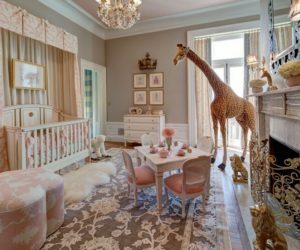 It should sit low so kids can reach it. Maybe they’re babies now but they’ll become toddlers soon enough and this design idea will start to make sense. Put together several bookshelves and you’ll have a library wall. That’s right, a lovely little library wall for the nursery which can include a bunch of cute baby books with stories and pictures. 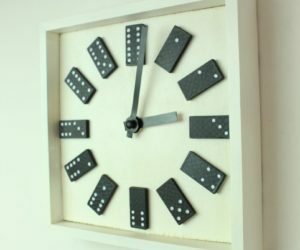 If you’re interested in the idea, check out projectnursery to find out how to put together this feature and how to customize it and make it look pretty. 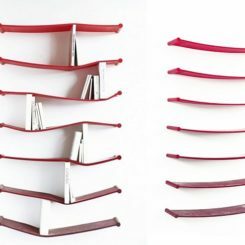 Like we mentioned before, there are several different types of shelves to choose from. 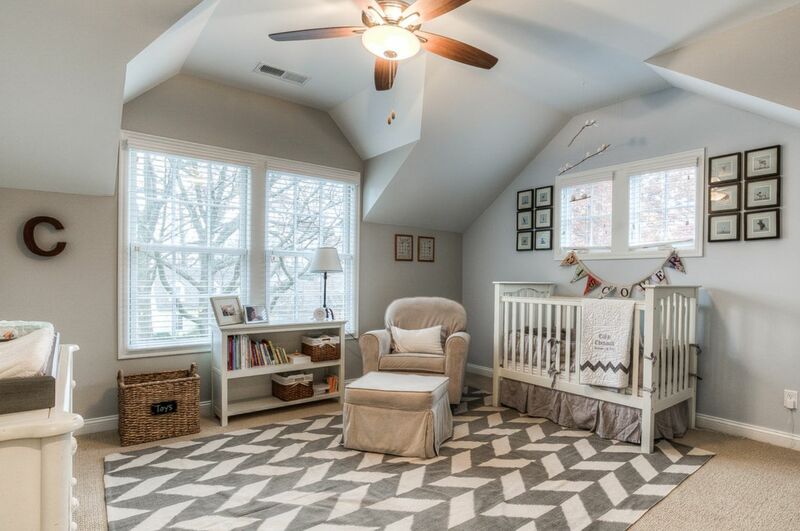 For example, this Scandinavian-style nursery featured on Maxandduke has a cute cubby unit under the window which has six open modules and in addition to that there are also these two intersecting square shelves up on the wall. 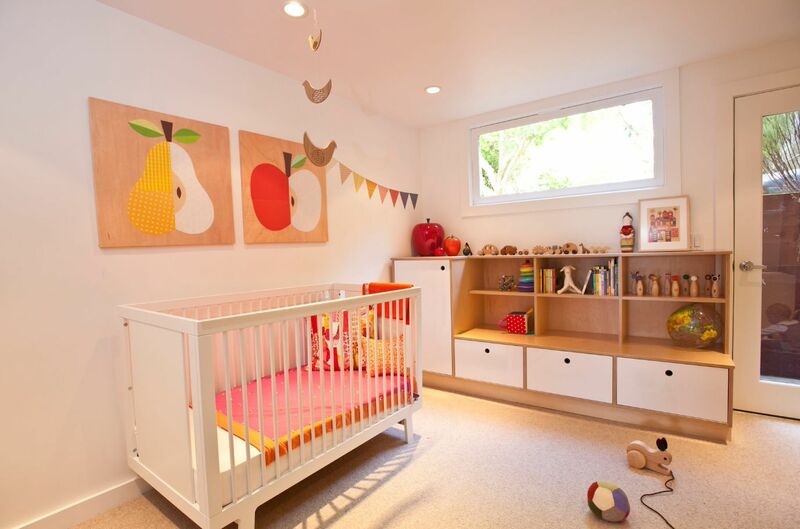 The bookshelves in the case of this nursery which was featured on Christiazevedo as well are integrated into a storage unit which also has drawers at the bottom and closed storage space on the left side. 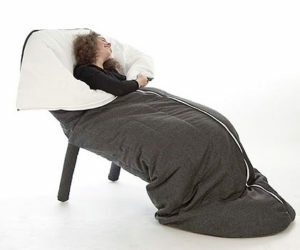 It’s a practical and space-efficient combo. 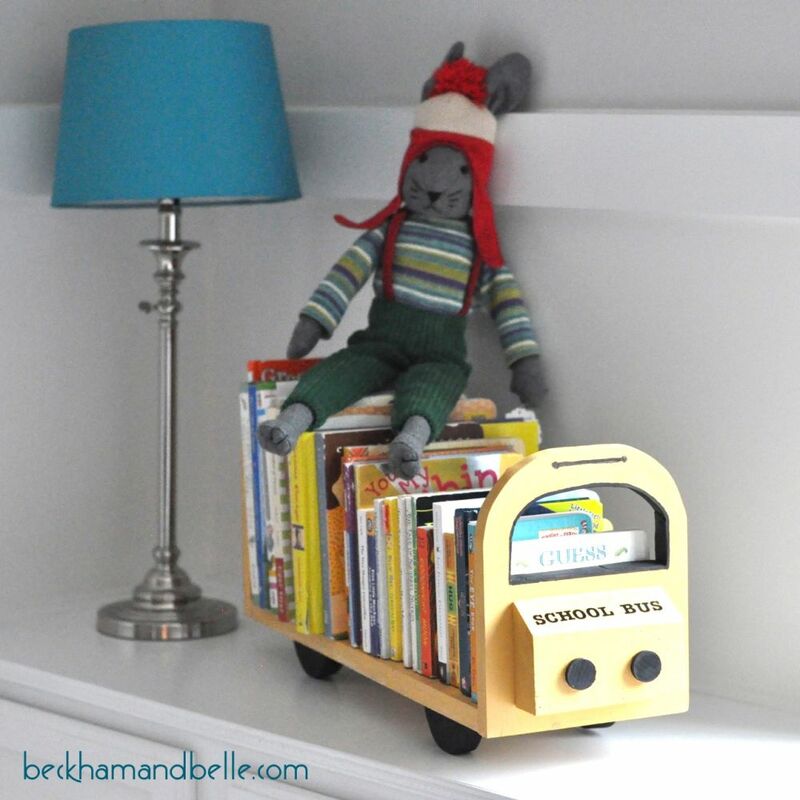 This little nursery bookshelf unit is really cute too. 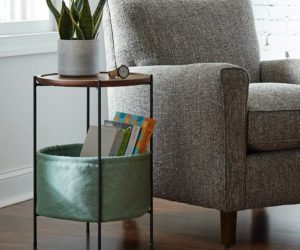 It’s small and low enough to also serve as a side table and it sits right next to the armchair and ottoman so reaching to the side to grab a book is super easy when sitting down with the baby. 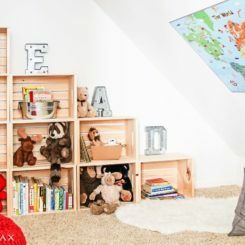 What about these nursery bookshelves? They’re built right into the wall, like a secret doorway. 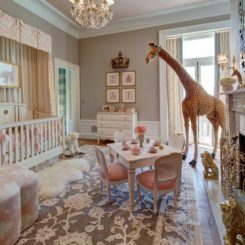 The design and the idea are ingenious, fun and pretty cool as well and not just for nurseries but for living rooms, home offices and other spaces too. 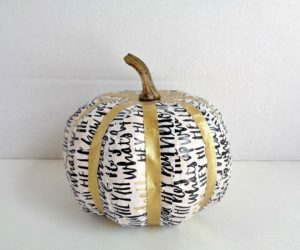 This too is an idea that comes from Lindaeylesdesign. 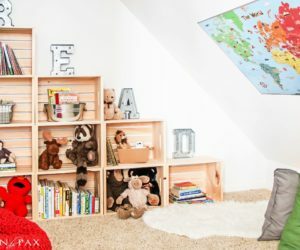 These two cloud bookshelves are super cute too and the best thing about them is that you can craft them yourself from scratch. 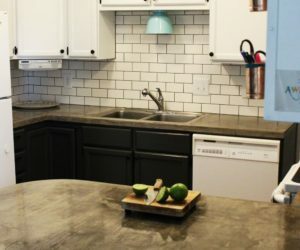 You can find detailed instructions along with a list of tools and materials that you’ll need for the project on howtonestforless. Have fun personalizing the shelves in any way that you like. 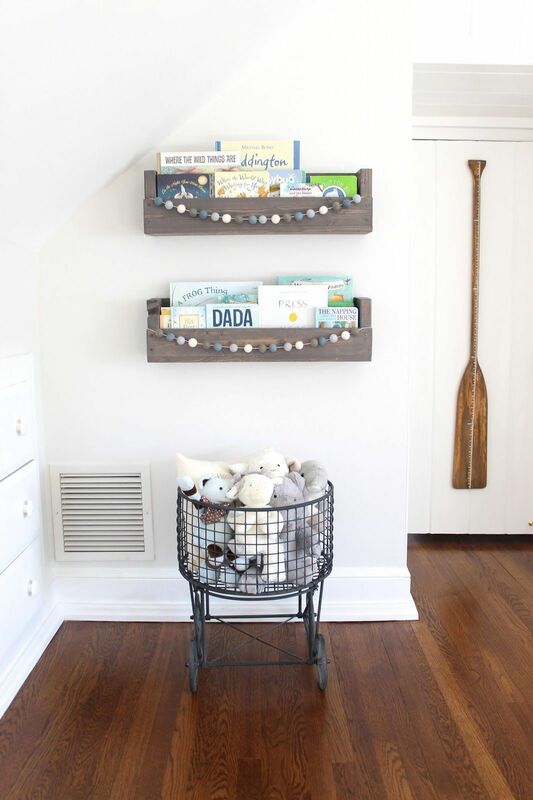 Speaking of easy DIY projects, check out these nursery bookshelves that we found on craftinessisnotoptional. 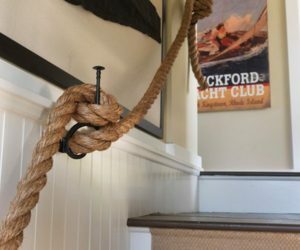 They’re actually pretty versatile and they’d look nice in a living room or entryway as well. 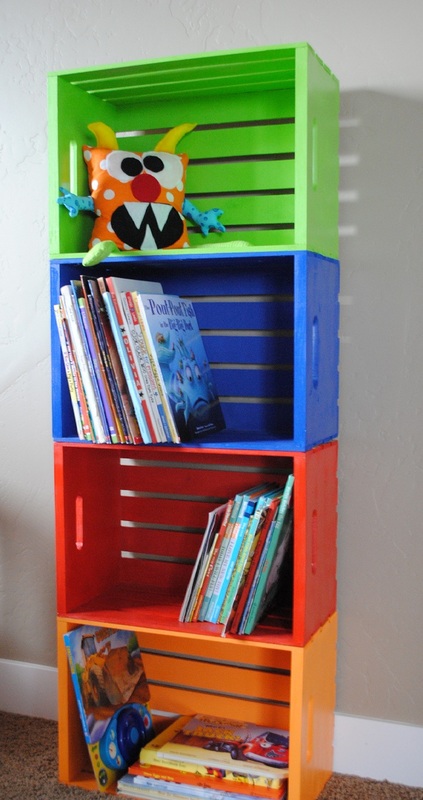 You can make something similar out of reclaimed wooden crates. 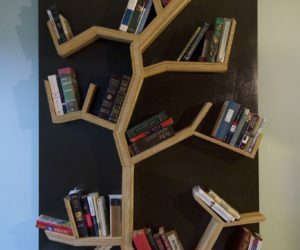 These arrow shelves featured on cupofjo also seem like something that could be made from scratch. It’s actualy just a matter of making a few cuts at the right angles and them assembling the pieces together. 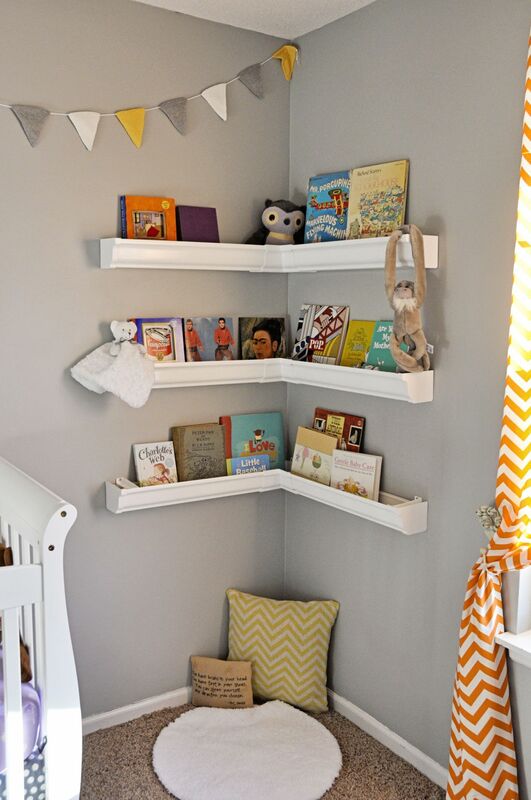 Bright colors could make nursery rooms look cheerful and playful but they shouldn’t overwhelm the space so keeping most of the decor simple and neutral and adding a few funky accents like these shelves seems like a good idea. These are actually wood crates, each painted a different color. It’s something that we found on crazylittleprojects. 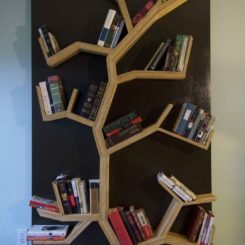 Tree bookshelves are cool no matter where you put them. 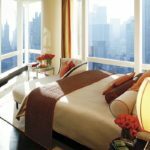 The design can be stylized based on the type of environment and the surrounding decor. 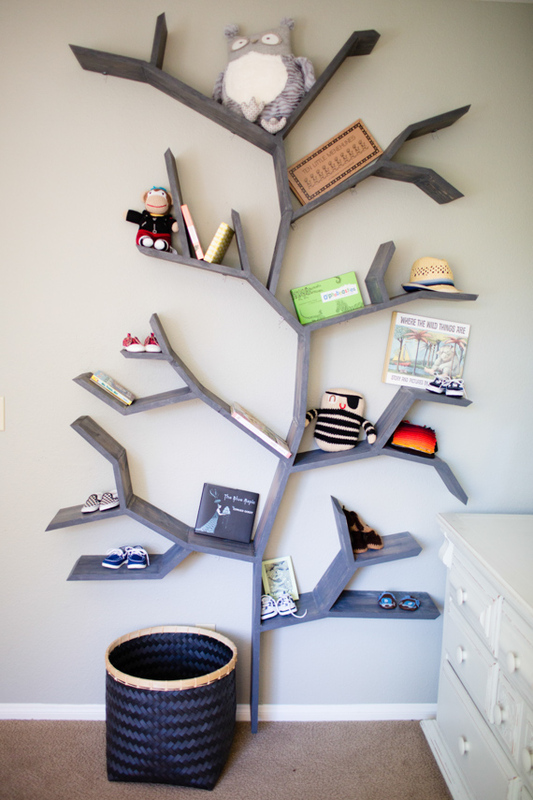 A nursery room could be decorated with a small but cute and playful-looking tree bookshelf much like the one that we found on 100layercakelet. 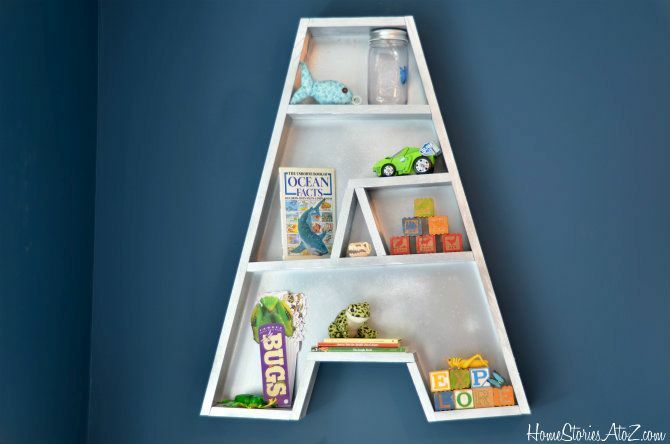 Monogram bookshelves are another cool option and a great way to personalize a nursery room wall. 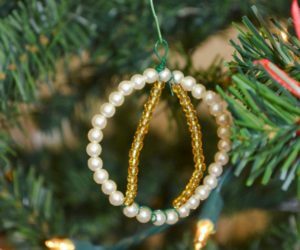 Although it’s not the simplest of DIY projects, you could still craft something like this yourself. Some letters are easier than others so perhaps you’re lucky in this sense. 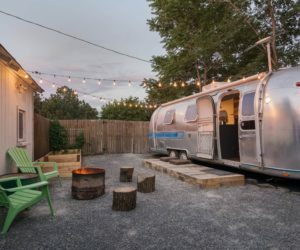 Check out the details on homestoriesatoz. 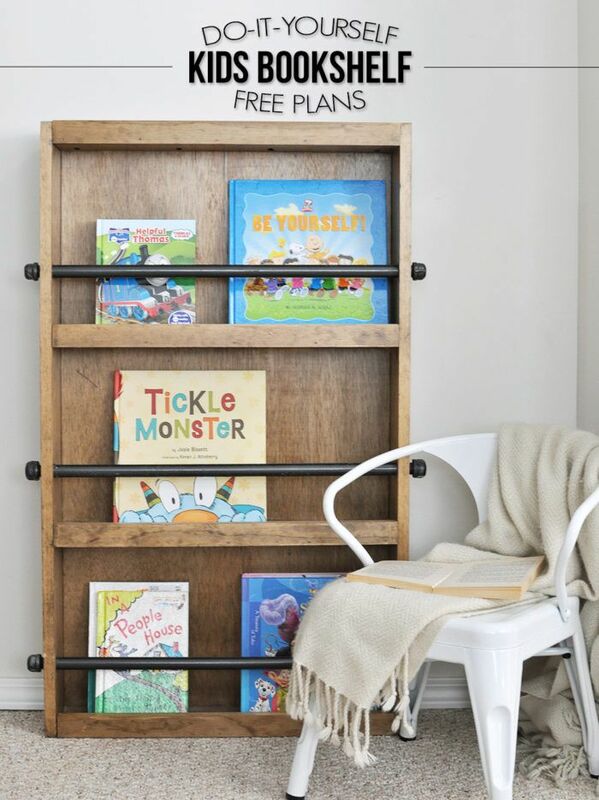 Next, a set of nursery bookshelves with a design that’s simple, a bit rustic and with just a hint of industrial charm. 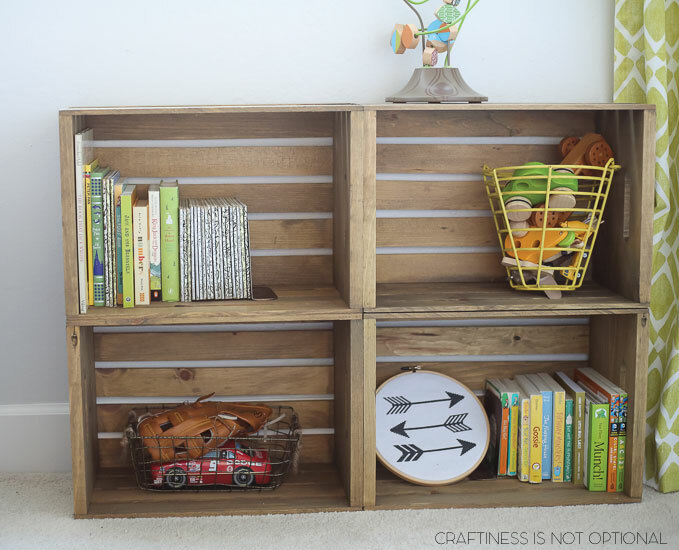 We found a tutorial for this project on cherishedbliss and this is what you need if you want to craft your own version of the shelves: a drill, a sander or sandpaper, a table saw, a miter saw, a nailer, some plywood, wood boards, a metal pipe, screws, nails and wood glue. You can find the instructions in the tutorial. 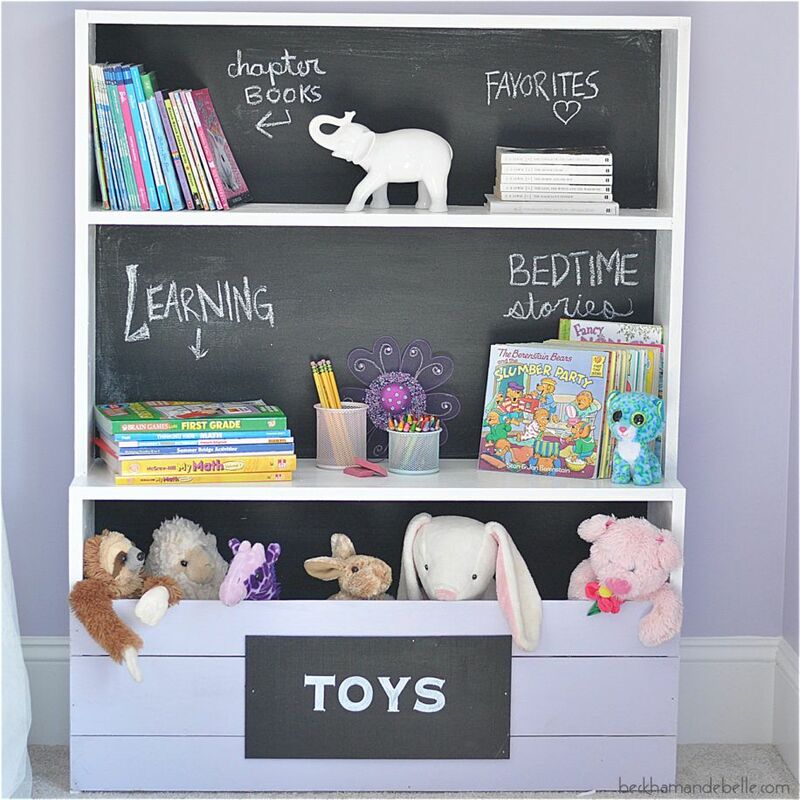 We also found this really cool idea for a toy storage unit with shelves and a chalkboard back panel. 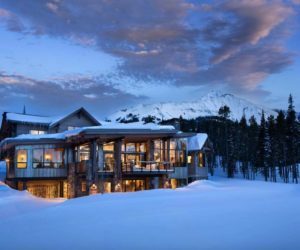 The project is described in detail on beckhamandbelle. 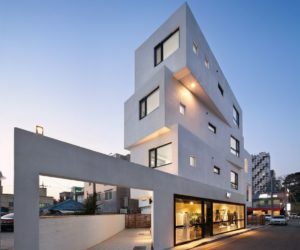 Of course, you can adjust the proportions and the design in any way that you like. 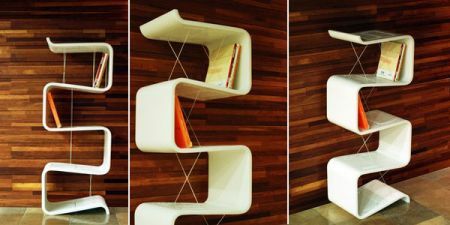 You could add more bookshelves or paint them a different color for example. 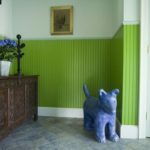 Also, chalk paint actually comes in several different colors so maybe you’d like to use this detail to make the design unique. 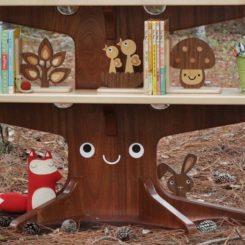 This school bus nursery bookshelf is one of the cutest things on our list. Also, believe it or not, it’s a fairly easy and cool DIY project. There’s a tutorial for it on beckhamandbelle. The list of materials required includes a wood board, some scrap wood for the wheels, wood glue, sandpaper, yellow paint, black paint and a dowel for the bus lights (you could also use something else instead so be creative – some of those felt pads you put on chair legs could work or perhaps you could just paint these on). 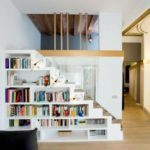 At the end of the day, no matter what type of shelves you choose, it’s always fun and nice to find a way to personalize their design and to make them special. 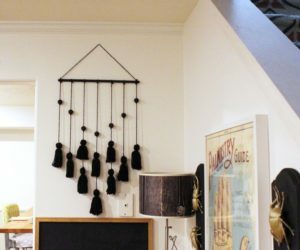 Perhaps you could paint them in a funky color or perhaps you could decorate them with a felt ball garland like this one featured on thepicketfenceprojects. We love the colors used here and the way in which they complement the shelves and the overall decor theme chosen for the room.